Though it is true that our bathrooms should be our own private havens, decorated in our own unique way, it never harms to look towards current interior design trends for inspiration! If you’re looking for bathroom design ideas for your new bathroom remodel, you’re in the right place. To celebrate the fact that our new collection of Wall & Ceiling panels (perfect for bathrooms) is now live, we are here to talk you through some of the best bathroom trends for 2018. 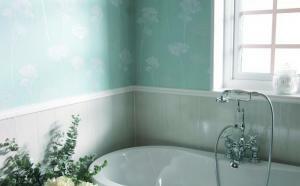 You’ll have a newly transformed, luxury bathroom in no time! Nothing says natural raw material more than a stone effect finish. 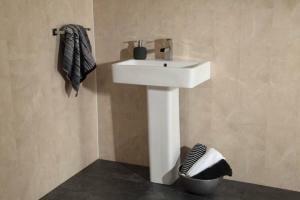 That’s why stone bathroom walls have never been more on-trend in terms of interior design! Of course, traditional natural stone tiles or real granite slabs would be hugely costly, which is why we are so proud to show off our faux stone panels to you. The great thing about faux stone cladding (as well as being cost-effective) is that it is available in so many finishes. You can take 2018’s natural stone trend in a subtle direction with something like Sandstone cladding, or in a much more modern bathroom direction with Slate or Granite wall panels. Either way, we are definitely not leaving the stone bathroom walls look back in 2017! Of course, we can’t discuss bringing nature into our homes without including the trusty house plant! House plants have been trending in interior design for a few years now, but never so much in bathrooms. As more and more people realise a bathroom’s potential for housing tropical and sub-tropical plants thanks to their warm and humid climates, it now seems that the only décor rule regarding foliage is ‘the more the merrier!’ And for those that can’t possibly squeeze anymore plants into the room, another on-theme trend is to use botanical prints in the bathroom. So, stay on the lookout for those leaf-print towels! Another natural texture trending at the moment is wood – light wood in particular, due to the way it amplifies and natural light. Of course, though white wood cladding would be a stylish option, real timber wall cladding tends to be expensive and unhygienic when exposed to damp conditions. Our White Wood Wall Panels give a realistic and detailed wood wall cladding effect, without all the costs and frustrations. 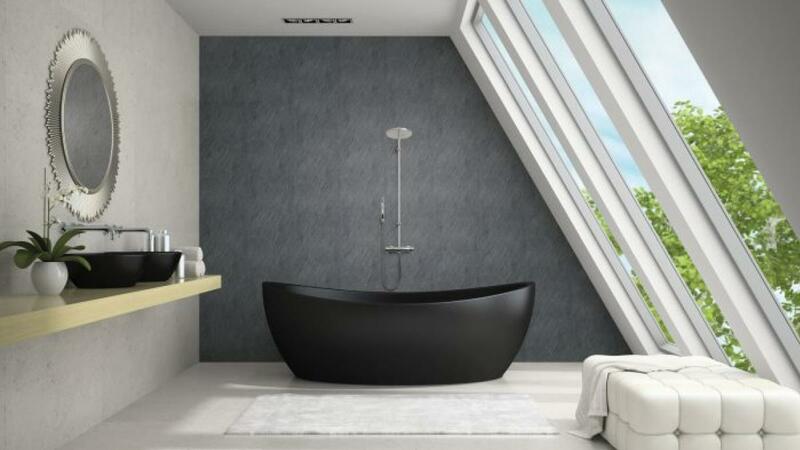 Perhaps the most contemporary of this year’s bathroom design trends list is the standalone bathtub. Even smaller bathrooms are beginning to adopt this trend thanks to new freestanding bath designs that work well in smaller spaces. A standalone bath ooze style and innovation, and makes the perfect bold statement in any modern bathroom. Marble bathroom walls have always been in fashion, and there’s no doubt that the love of marble is still going strong. Marble fits in well with the 2018 theme of bringing nature indoors, but unlike some other natural finishes, marble manages to retain a high-fashion, luxury feel. Again, real marble slab would be very pricey, and much more difficult to install than marble tile effect panels. Our marble wall panel range is very varied, including Natural Marble, Grey Marble, and Peach Marble finish effects. There’s no better way to be on-trend, and under budget, in your bathroom! If the free-standing bath trend isn’t for you because you prefer to shower, you may like this a lot better… Another leading bathroom design for 2018 is the wet room. 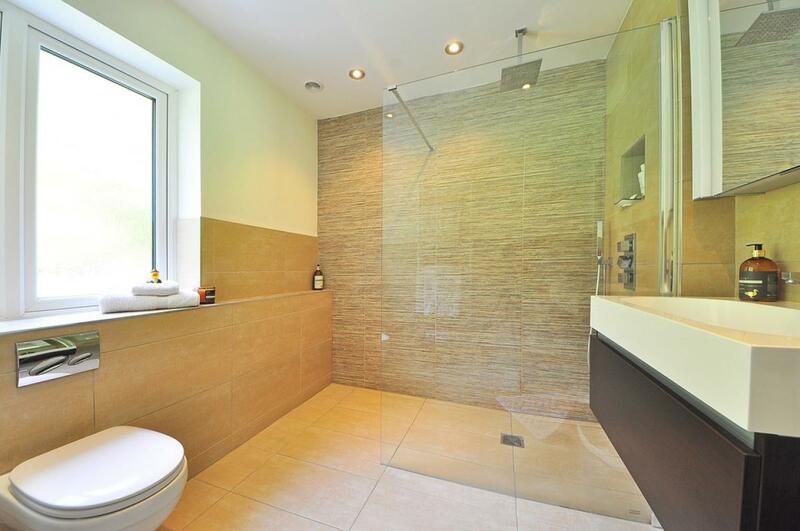 A wet room is really about turning your whole bathroom into a walk-in shower enclosure! 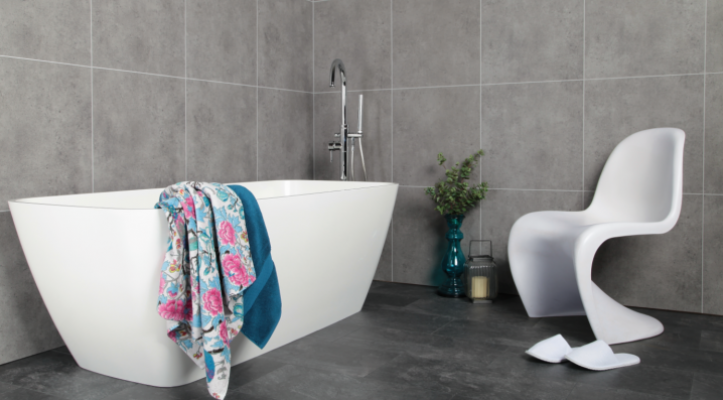 Wetrooms are increasingly popular with owners of smaller properties due to their ability to transform even a compact space into a modern open-plan bathroom. Of course, wet room tiles and wet room flooring can be quite complicated to install, so don’t forget to consider our bathroom panels! If you need more information about the advantages, check out this recent blog post: ‘Benefits of modern wall panelling vs. traditional wall tiles’. So, now you’re in the know! Which of these 2018 bathroom trends is your favourite? Are you likely to go for Marble, Stone, or Wood textures when bringing nature into your bathroom? If you need any advice or guidance when it comes to selecting and installing wall panels, be sure to get in touch as we would love to hear from you. Browse more JA Seals Wall & Ceiling Panels.